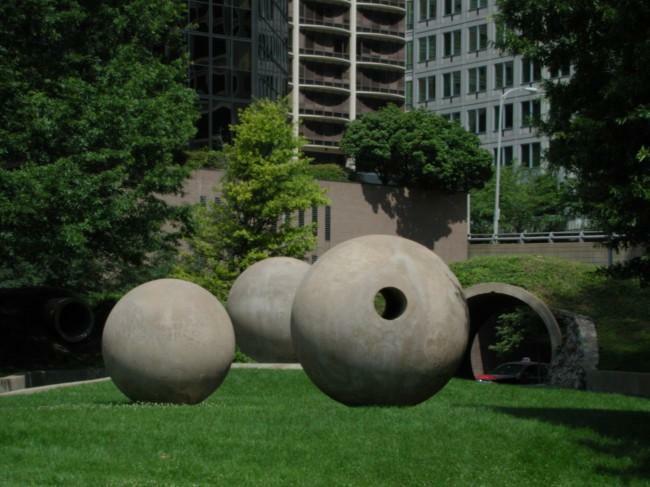 What’s With the Big Concrete Balls in Rosslyn? Have you ever been down to Rosslyn where Fort Myer Dr and Lynn St merge together and noticed the big concrete balls with holes in them? That, my friend, is Dark Star Park and Dark Star Park day is coming up next week.